One of the most advantage is that the procedure for setup and execution has been so straightforward. The group is pleasing, and causes us send and oversee member welcomes, and data. 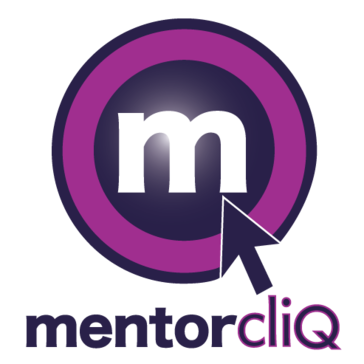 The group at MentorcliQ is quick, responsive and supportive inside and out they can be. We see an unfathomable incentive in the expense of the program since we have gotten so much accommodating diagnostic data notwithstanding alternate regions of help. The reports accommodated our program, and the information we've gotten about the advancement, hours, and correspondence that is occurred with our members has been the most important. Other preferred standpoint is that the engaging representatives with direct self-benefit apparatuses to pick their imminent tutors makes some "skin in the diversion" with the two closures of the relationship. I would say, that outcomes in more significant work on the two sides of the condition, and makes expanded an incentive for the association. One of the most disadvantage is that the platform itself is could utilize a few updates as far as feel and UX. It's absolutely not a major obstruction, but rather our clients have remarked that these parts of their experience that may be made strides. Also, other disadvantage is that I might want to have the capacity to tweak the greeting pages somewhat more and have self-guided chances to the structures. While customization to the structures should be possible by your record supervisor, it is pleasant to be given some more free frame alternatives. Other disadvantage is that I can't perceive what or when members are imparting, and the program doesn't report back to our graduated class database. This advantage is tended to in the reports I get every month, so I know correspondence is occurring, and we can track progressing investment. You only need a laptop and a network connection. If you have any problem you only have to contact with the technical support by email, they will give you an answer in least than a week. MentorcliQ lightened the worry of hand coordinating our program members, and has demonstrated its esteem. Presently as we plan for our third year working with MentorcliQ, the framework has been enhanced, and has extended to keep addressing our requirements. We value the fair, certifiable nature of the group, and the individual touch we've needed to make changes. "Fun and easy way to mentor! " As a participant in the company mentoring program I find the system really easy to use! It took minutes to enroll and then later I got matched up with me mentee. The software makes it easy to track the hours I spend mentoring and keep an eye on the goals of the relationship. None with the system, I wish I had the time to be in more mentoring relationships each year! Mentoring has been really beneficial to me as a mentor, I feel like I am adding value to my mentee and I get re-energized about my own role making things a little more fun! "Mentoring Solution that engages field employees"
Mentorcliq makes it simple for our field employees to sign up and start mentoring. As the program admin I find the tools and reporting very useful. And my success coach is a true expert that helps us plan strategy and execute programs. I can’t think of anything we dislike. My employees love the mentoring resources so maybe more of those. With multiple locations and field employees, mentoring can be a challenge but this solution makes it seamless. * We monitor all MentorcliQ reviews to prevent fraudulent reviews and keep review quality high. We do not post reviews by company employees or direct competitors. Validated reviews require the user to submit a screenshot of the product containing their user ID, in order to verify a user is an actual user of the product. Hi there! Are you looking to implement a solution like MentorcliQ?